Nino Browns 2006 Tahoe. 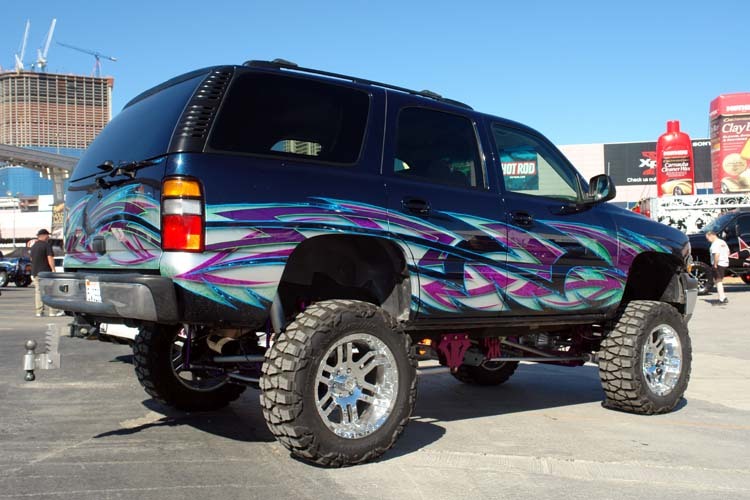 Finished on the 11th Hour, this Tahoe has a kustom one-off 12" lift from Kent Porter's "Krazy Kustomz". 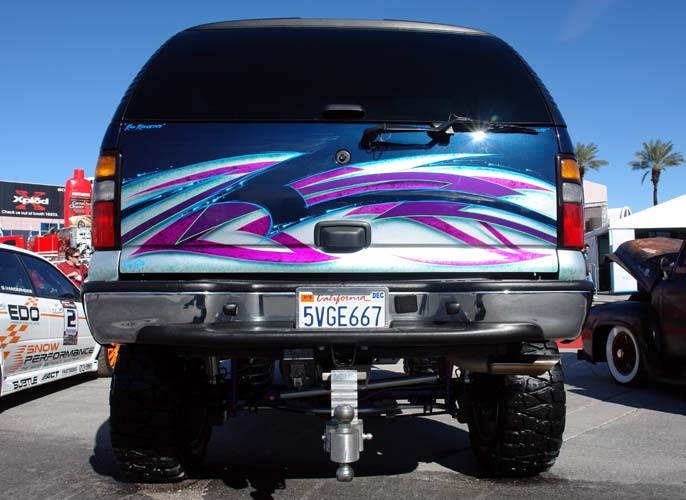 The paintjob was done to match the powdercoated, and kandied suspension components. Nino wanted a graphic job that resembled the kustom tribals done by Kal Koncepts/Air Syndicate back in the 90's. What you see here is literally a one week paintjob. 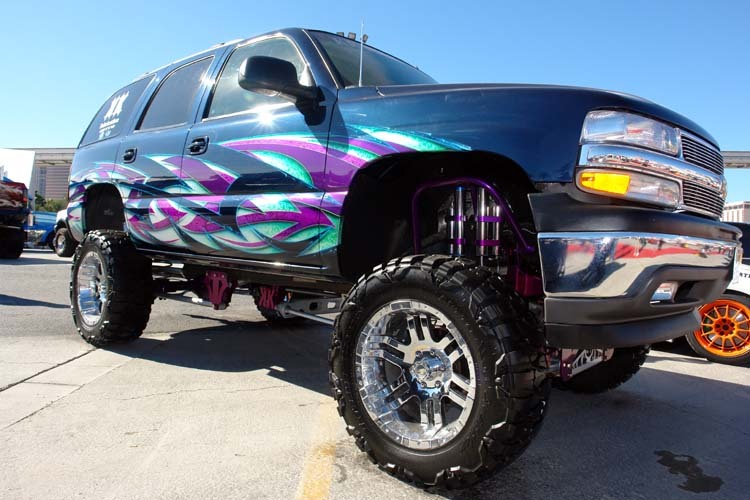 Imagine what we can do to your ride in a few more!? !.